While perusing the gift shop at the Museum of Fine Arts in Boston recently I came across a copy of Hollywood in Kodachrome: 1940-1949. 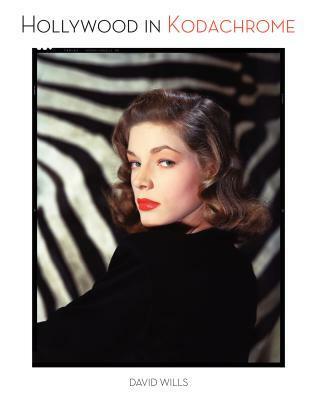 The beautiful image of Lauren Bacall on the front cover caught my eye and when I opened the book I was stunned. 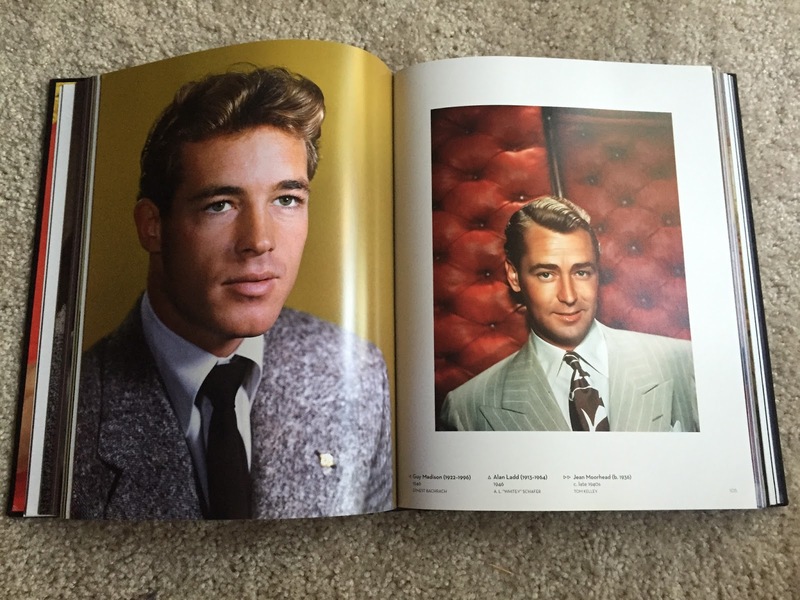 This coffee table book was filled with the most vibrant and stunning images of classic film stars. I knew this book had to be mine. Hollywood in Kodachrome is a simple book celebrating a technology of a bygone era that produced amazing visuals in photography and cinema. In a time when visual artists were still trying to find the best method for producing color images, Kodachrome produced clear and crisp images that were vibrant and could convey the glamour photographers wanted to capture. Rich in reds and yellows the photos in this collection are in such good condition, thanks to the longevity of Kodachrome, that you’d think they were taken yesterday. This book is a veritable feast for the eyes especially for those of us who love the glamour of the 1940s. The book starts with a foreword by actress Rhonda Fleming who shares her memories of Kodachrome and whose photos are featured in the book. There is a short introduction by author David Wills explaning the history of Kodachrome from it’s inception to it’s discontinuation in 2009. Then the book is broken up into six chapters each with a different theme. Each chapter starts with a quote from someone in the business about working with Kodachrome and with the stars. Themes include glamour, charisma and stars and stripes. There is a short chapter dedicated to Lucille Ball whose pale complexion and bright red hair was perfect for Kodachrome. Her nickname in the 1940s was “Technicolor Tessie”. I especially loved the chapters on posed candids (reality stylized) and selling the dream (stars in advertisement). Fans of 1940s fashion can look to this book as a vibrant collection of outfit ideas. I marveled at the care and attention placed on just the right dress or suit, lighting, hair, makeup and the perfect placement of accessories. Some of the outfits are accessible and could be recreated with modern day materials. Others are simply aspirational; the fodder for dreams of a more glamorous life. This book does have some flaws. The text size for the introduction is excessively large. It made me feel like I was reading a large print edition of a book. I also wish there was more information about Kodachrome. I would not recommend this as a reference text. It’s purely eye candy with a little information thrown in. The book doesn’t open very well and double-paged spreads require breaking the spine a bit in order to take in the full image in all it’s glory. I also didn't think the birth and death dates were necessary for the image captions. It dates the book. These are minor flaws though and the book’s strengths overcome its weaknesses. Hollywood in Kodachrome is worth your investment. If you are a visual person and love classic film, especially the 1940s, this book is a must for your home library. Vanessa of Stardust reviewed this book in June. Check out her post! This is my fourth and final review for my summer reading challenge! I purchased this book at my local bookstore.